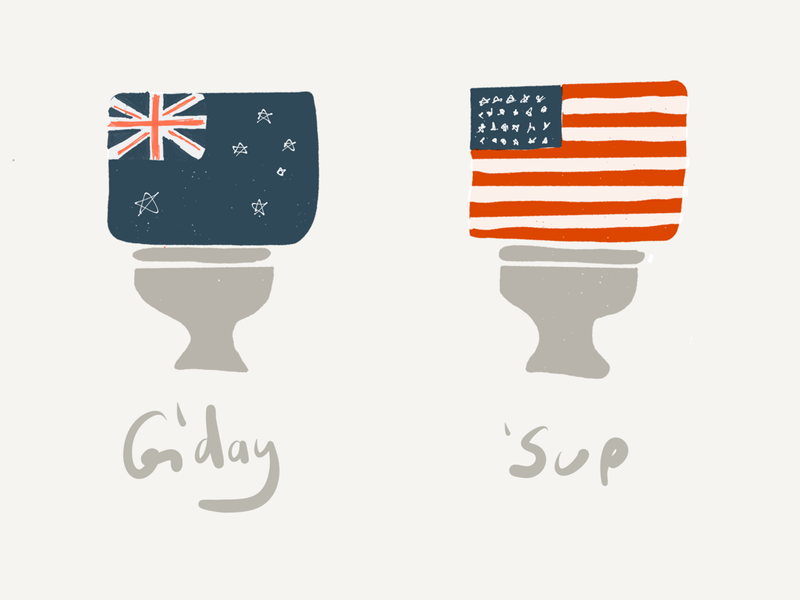 As an Australian living in The States the number one question I get is “are the toilets really that different?” The answer is yes, but not just for the reasons the Simpsons taught you. Australian toilets almost always have a button to flush. The Americans prefer levers. The buttons work great for a two flush system. It’s pretty clear what each one does when there’s a big button and a little button. The lever is confusing if there are multiple flush sizes. Does pulling up mean big flush or small flush? It’s not obvious, and always needs to be explained with signs. These are rare in Australia, possibly due to our constant state of drought — you only flush when you need to. In America, however, the toilets can sometimes flush many times in one sitting. It’s an example where technology being pro-active can be annoying. I’d never seen those toilet sanitary papers before I came to the states, but they’re everywhere here. On my last trip home I noticed that Australia has a different option: a cleaner that you spray onto toilet paper, so you can wipe the seat before you sit. Just like The Oatmeal suggested. Getting a towel to dry your hands is always unpredictable. There are so many different types of towel dispensers in America. Some require a turn, others take a wave, some you pull on, others have a lever you pump, sometimes there’s a tuft of paper to pull on. I can only assume all of these are slightly different ways of trying to get you to use less paper. In Australia it’s just one choice. You pull a folded piece of paper out of the dispenser. Some things are backwards. The knob you turn to lock the door turns in the opposite direction. For the life of me, though, I can’t remember which direction in which country. My main experience with plungers growing up was seeing them on TV. Most people had one in a cupboard or garage somewhere, but they did not get a lot of use. In America I noticed plungers everywhere. Most toilets had one right next to them. My initial thought was that Americans needed more fibre in their diet. It turns out, however, that it’s a factor of how the toilets flush. It’s surprising that in such a small area there are so many differences. Thankfully none of them are so different that you’ll be confused while travelling.